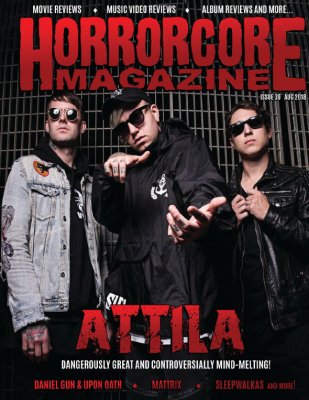 Metalcore Kings Attila Featured On The Front Cover Of Horrorcore Magazine! This interview was supposed to be featured within a different publication, but the editor Of that publication tragically became seriously ill and the interview unfortunately became shelved for months on end, as the publication was indefinitely forced to put on hiatus, including shelving all its finished content. The writer was a little frustrated but understood the situation at hand. 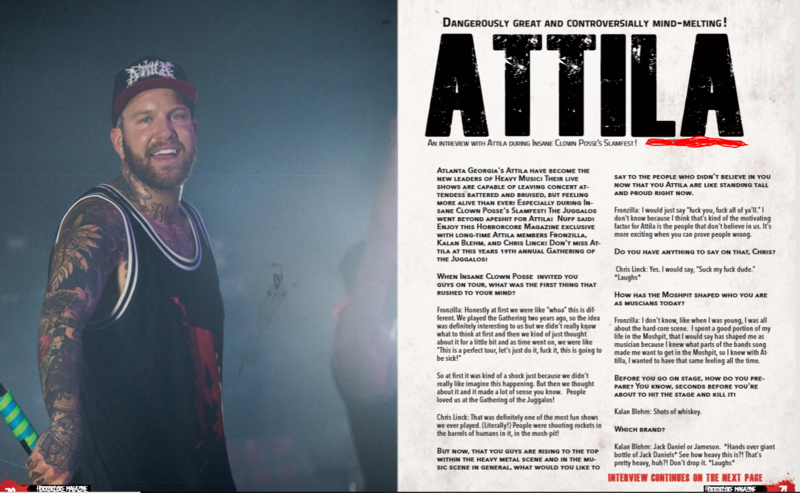 The writer finally decided to reached out to several different publications for a few months with no luck to secure a front cover story for the mighty Attila. Luckily the number one selling underground magazine “Horrorcore Magazine” more than welcomed the article and was beyond happy to put the current leaders of Metal on the front cover of their (August 2018) 39th and final issue, before fully transitioning into Underground Nation Magazine. 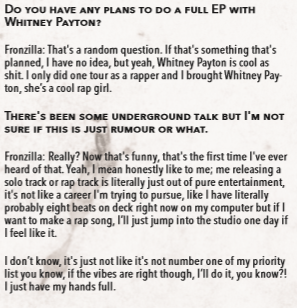 The cover story article focuses on Attila learning new music industry tips from from the Insane Clown Posse, Fronzilla willing to collab with Whitney Peyton, wanting to work with Fred Durst of Limp Bizkit, and the reason on Attila deciding to release just singles instead of another full length LP.